This year’s 301 Endless Yard Sale is June 14th and 15th. 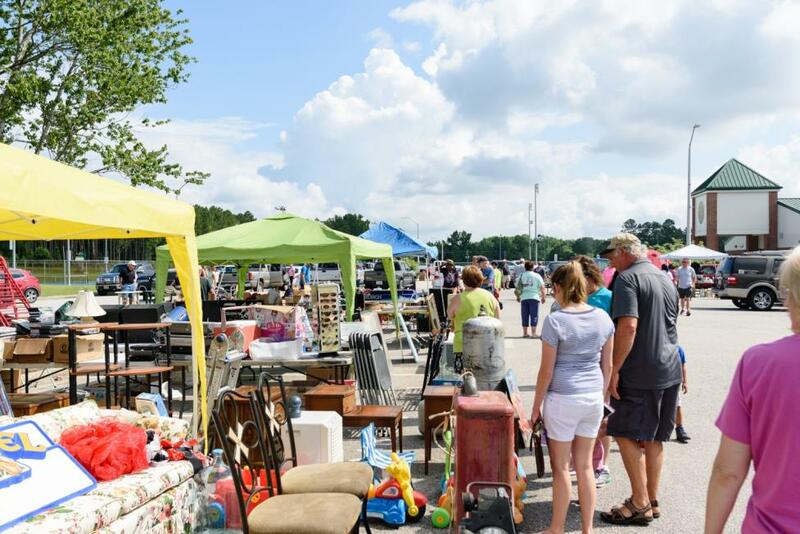 Founded in Selma and now hosted by a variety of towns located along US 301 in the counties of Johnston, Halifax, Wilson, Nash, and Harnett, the annual 301 Endless Yard Sale takes place the 3rd Friday and Saturday of June annually. 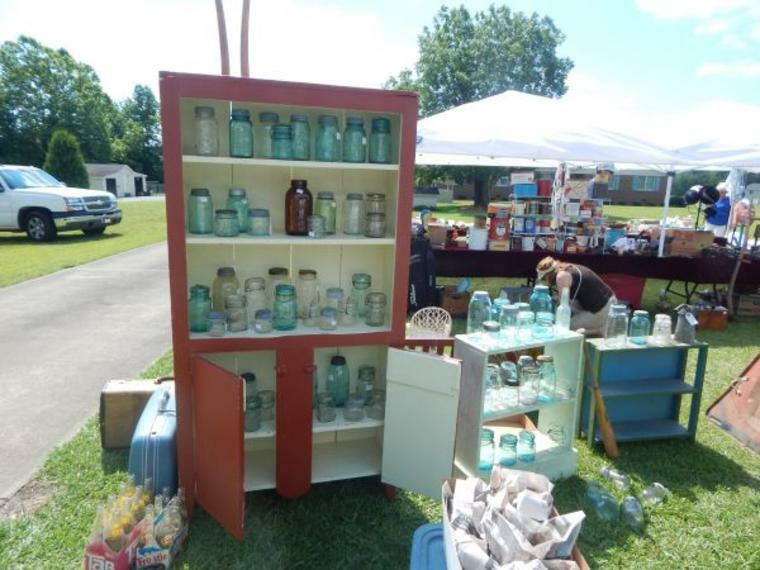 Along the 100-mile plus stretch of highway, the event offers deals, antiques, collectibles, DIY furniture, crafts, and more. Now in its 7th year, the event attracts over 15,000 shoppers, and over 1,000 vendors, every year to sell or buy. People often stay overnight in the area to take advantage of the 2 full days of the sale, and hopefully cover the entire 100+ miles. As you cruise along US Highway 301 in Johnston County you travel a bi-way that&apos;s been largely forgotten to time since the creation of Interstate 95. 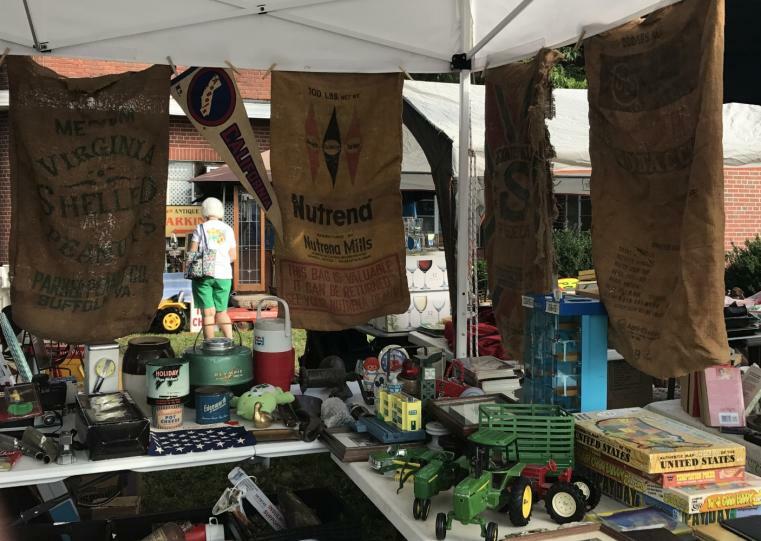 As you shop along the route during the 2 days of the 301 Endless Yard Sale - hunting for antiques, collectibles, DIY finds, and yard sale treasures - don&apos;t forget the local establishments on the side of the road serving-up food to restore your shopping energy. Along the route, beyond the vendor booths, are quaint southern restaurants, ancillary local retail stores, and locally-owned hotels. 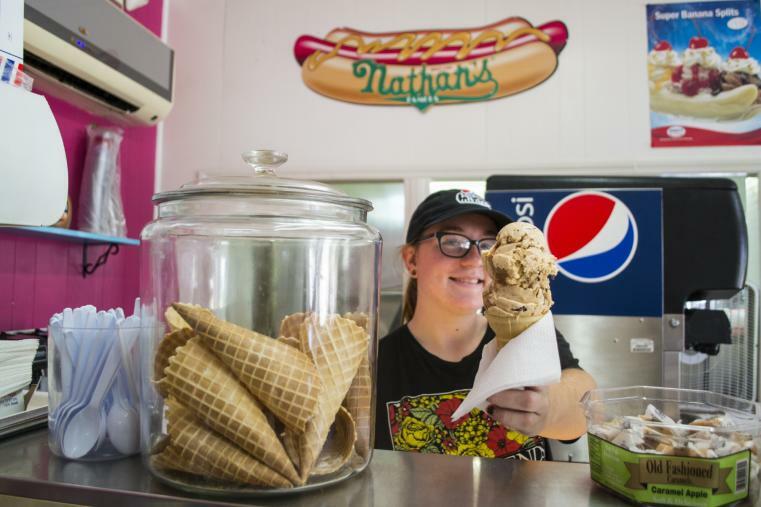 You&apos;ll not only be supporting local, but you&apos;ll also be rediscovering the slices of Americana that still exist in these places off the beaten path. 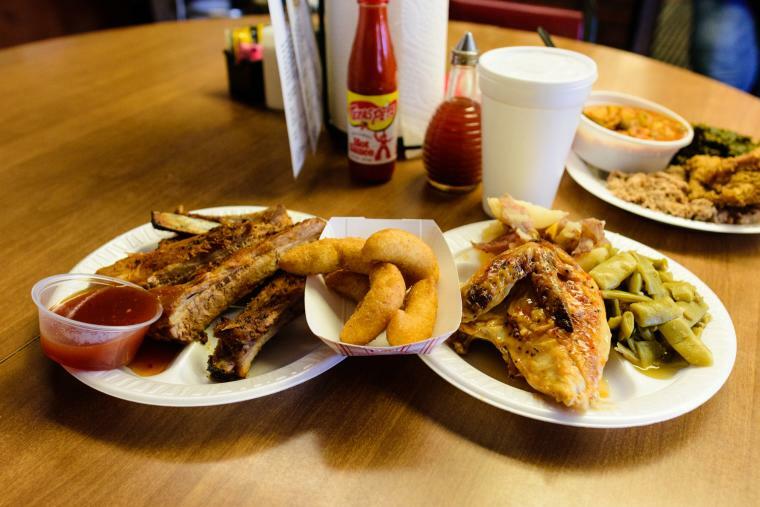 This family-owned BBQ joint serves up the Eastern-style &apos;que beloved by this region of the state. They have indoor and outdoor seating and are located just feet from 301. Stormin&apos; Norman&apos;s is also just a few minutes from all the vendor locations along the route in Kenly like the Tobacco Farm Life Museum. Remember that downtown Selma has multiple brick-and-mortar antique stores located just beyond the tented vendors along the 301 route. Be sure to stop and peruse those stores as well, all of them locally-owned. While you&apos;re in downtown stop in a Creech Drug Company; they&apos;re old-fashioned, complete with a soda-fountain counter serving up ice cream and fresh-squeezed orange-aid. In the South there&apos;s a certain wisdom in knowing that good food can be found in a gas station. The Chicken Barn is a hidden gem that shares space with a service station just feet from 301 in the heart of Downtown Smithfield. Explore the downtown area while you&apos;re there and then easily return to your 301 treasure hunt. This is BBQ done right for decades, with the patience and history behind it. There&apos;s nothing fancy about White Swan because there doesn&apos;t have to be... it&apos;s just really good BBQ. Between The Chicken Barn and White Swan is the Bright Leaf Flea Market. This shopping mecca on 301 draws weekend shoppers year-round but is especially hoppin&apos; during the endless yard sale. In Four Oaks there are vendor locations and places to rest from the road like Stanfield&apos;s General Store - still serving soda in actual glass bottles. But, the real artists in this small town are Ogi and Vine & Branch, be sure to take your finds to them once the 301 Endless Yard Sale is over. Ogi makes hand-crafted furniture out of reclaimed wood and Vine & Branch can turn your drab, diamond-in-the-rough furniture find into a shabby-chic piece in no time. In Downtown Benson don&apos;t forget to drive or walk a few blocks down Main Street of Hey 301. You&apos;ll find antique, DIY, refurbished gems in stores like Morgan&apos;s on Main, Salvaged Heirlooms, and Farmhouse Vintage Treasures. Some of them also sell a vast selection of chalk paint if you&apos;re looking to DIY your own finds along the route. Glenda&apos;s has fresh, homemade grill items and also ice cream treats to cool off after all the hard bargaining you&apos;ve done along the route. Not to mention Jenny&apos;s Sweet Creations in downtown and JP&apos;s Gluten-free Pastries for those with dietary restrictions and a sweet tooth. Enjoy the 301 Endless Yard Sale this year! Shop til you Drop... but, not literally... we want you stay safe out there and have a good time: sunscreen, hydration, cautious driving, and don&apos;t forget cash!